Wendy's dad was a police officer in Chicago. She always thought he resembled the heroes in movies. That is, until he was arrested. Her life turns upside down when she is ostracized for her last name. To make things worse, she gets threatened on the way back from a party one night. Finally, Wendy meets exactly the right kind of girl to help her build up a defense system. Kenzie is mean, popular, and an alpha. Along with two other girls, Wendy has become part of the school's most popular clique- where no one can touch her. This "toxic friendship" begins to drain Wendy. She knows bullying others to protect herself is wrong. She knows that Kenzie is possibly one of the worst people she has met. But is she so addicted to the safety and power that she should compromise her values? 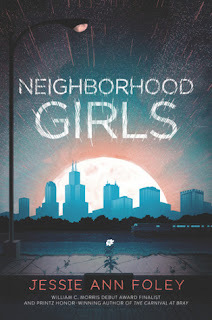 A complicated novel that deals not only with friendship, popularity and teenage drama, but also with spirituality and religion, "Neighborhood Girls" was a great read. Part of a Catholic all-girls school, Wendy begins to question her faith when she undergoes troubling times. Armed with her evil troupe, she pushes away a lot of her feelings. The character development in this story was phenomenal. I can't even begin to imagine how hard it must have been for the author to envision and then so effectively execute the transition that Wendy underwent throughout the novel. I felt like I was proud of Wendy by the end of the book! The concept of "mean girl vs. nice girl" is extremely common in the literary world. It's often turned into a light, young adult read. This book on the other hand, was the complete opposite. Every turn of the page (or tap of the screen, because I read it on my Kindle) presented me with a new moral complex, as Wendy debated her choices. It really was a different take on a common topic. As I mentioned earlier, Wendy was a part of a Catholic school. The story involved small miracles that could have been explained logically, but many times the characters chose to believe in the magic behind the moment. A lot of times, this is poorly executed, but once again Foley did really well in writing these parts of the story. Another thing I loved about this novel was that it was a YA not centered on romance. I feel that too many YA books these days have an underlying tone of romance. This one focused on Wendy's personal growth and I really enjoyed it. 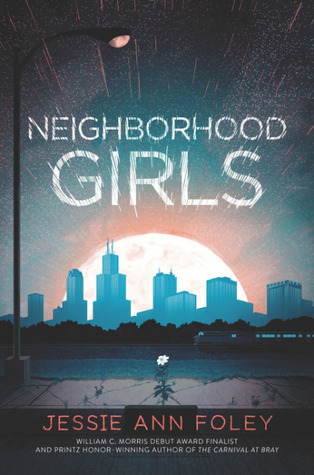 This book is definitely a must-read for all YA Contemporary fans. Anyone looking for a great book about friendship and morals should try this out too!